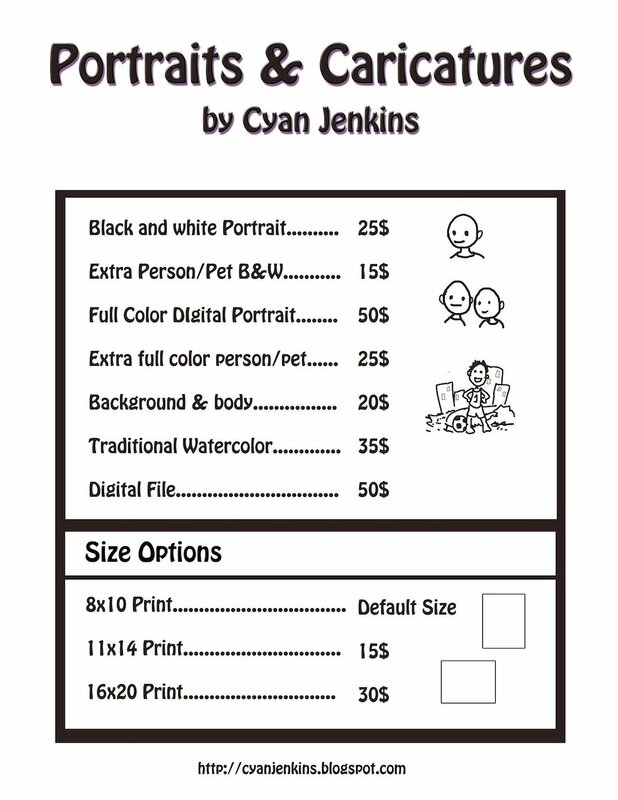 Portrait and Caricature Pricing. For live events I charge 25$ an hour plus compensation for gas depending on distance. Message me the details to book you event or next portrait!